Dutton Books for Young Readers, 9780525555735, 648pp. Introducing Penguin Minis! #1 bestselling author John Green like you've never read him before. • Featured in the New York Times, The Washington Post, BBC's "The World," Real Simple, BuzzFeed, Bustle, and more! 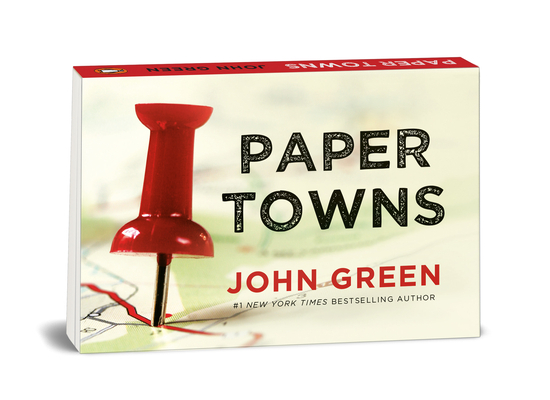 The award-winning Paper Towns is now available as a Penguin Mini edition. Complete and unabridged, the book's revolutionary landscape design and ultra-thin paper makes it easy to hold in one hand without sacrificing readability. Perfectly-sized to slip into a pocket or bag, Penguin Minis are ideal for reading on the go.